FOUR YEAR PLAN TO TRANSFORM A COMMUNITY! Four Year Plan: Dreaming Big! 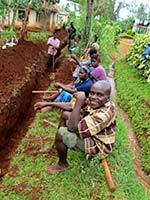 With the successful establishment of Uru’s Community Participation Water Project, we are planning future development to include sustainable safe water access for all of Uru East’s 14,000 villagers. Research is underway for additional safe water sources. Primary consideration is for an engineered spring source at the Kilimanjaro forest line with water delivery by gravity feed. Proposed spring water source has been tested and deemed safe quality and measured for sufficient volume to supply the rest of Uru East villagers. Preliminary design includes an engineered spring source, security structures, multiple cisterns, public water taps, meters & pressure management structures, and extensive water pipes for safe water delivery. 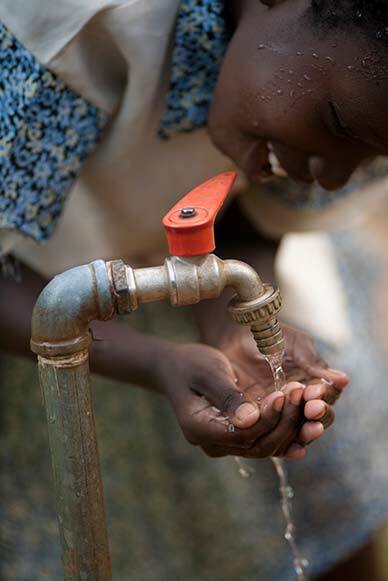 Construction plans allow for safe water delivery to be made throughout stages of development for immediate & ongoing impact. The successful Community Participation model already implemented in Uru East will be utilized to insure sustainability including local resources, sweat equity, low water user fees, and community owned and managed projects. Our vision and goals are firmly rooted in demonstrated success. But our initial development of water sources & delivery systems require the commitment and generous support of ICBD donors like YOU to make these life-changing dreams come true.